Click the button below and fill out the simple form. Once you receive the confirmation e-mail - your account is open! Now, your WestStein Prepaid Mastercard will be delivered to your home within 10 business days. 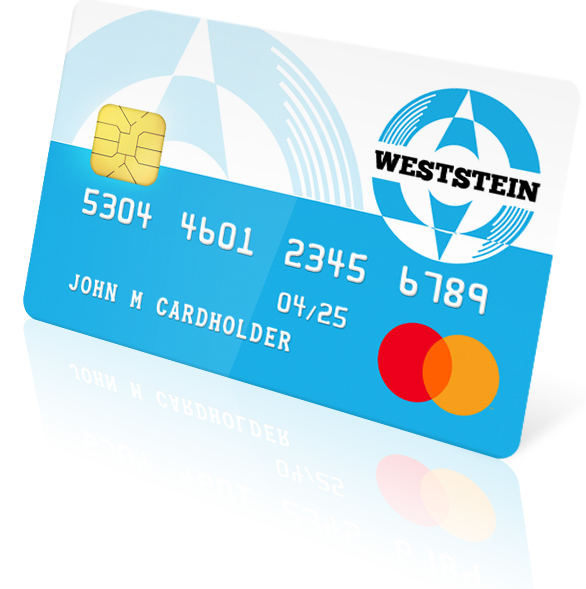 You can activate your card in the WestStein customer portal and load it with money to start enjoying the benefits right away. Additionally, you can become a verified customer via a simple identification process to expand your spending and deposit limits. To do so, you can complete this verification procedure in the customer portal by uploading copies of your proof of residence (e.g., a utility bill) and identity (e.g., a passport or ID card). We will review your request in the following day to verify your account as soon as possible.